This is blog post number hundred! One hundred blog posts! ONE HUNDRED! 100! Can you believe it? I certainly can’t! It’s quite a milestone. And what a better way to celebrate it with the arrival of Sinterklaas and his Pieten. 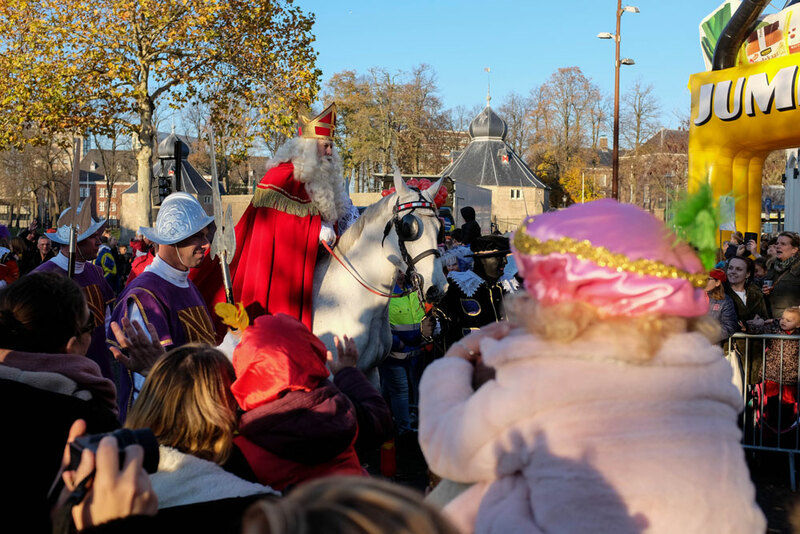 Last Saturday Sint-Nicolaas arrived from Spain. And that’s always a big festivity here in The Netherlands. Children (and parents) are excited about the toys and candies he brings. Iván and Simon dressed up as Piet for this special occasion.